If you have been reading this blog for a while you might also know that we have a wedding in the family coming up this year. 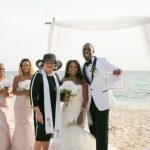 On a small island like Grand Cayman, a resident or local wedding is usually a fairly big affair. 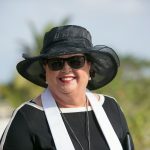 Experience has shown me that when you are the Mother of the Bride/Groom you should give "day-of" responsibility for the wedding to someone else! 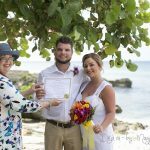 My company Simply Weddings specialises in small, intimate and personalised weddings at many of Grand Cayman's beauty spots. When we have weddings in our family, we hire another planner so that we can relax and enjoy the very special day. Nowadays, DIY weddings are very popular as understandably, brides try and save money to spend on other wedding-related things. In my business, I try to work with DIY brides where I can. For examples, if you want to bring silk flowers from home rather than having fresh flowers, I try and work along with you. This bride brought silk flowers for her bridesmaids, but ordered a fresh bridal bouquet for her Grand Cayman beach wedding. If you are arriving by cruise-ship, you will be in the port of Grand Cayman for approximately 5 hours. This is not sufficient time for you to make contact with vendors. Despite the wonders of the internet, vendors don't always show up when they are supposed to. What starts out as saving a hundred dollars translates to a lot of frustration when for example, your photographer does not appear. This is why you need day-of coordination by a local wedding professional. Some one with years of local experience will know exactly who to call, or where to go to smooth out any hitches which pop-up on your wedding day. Reputable local wedding professionals will also be in compliance of all local laws, and be knowledgeable of wedding protocols. 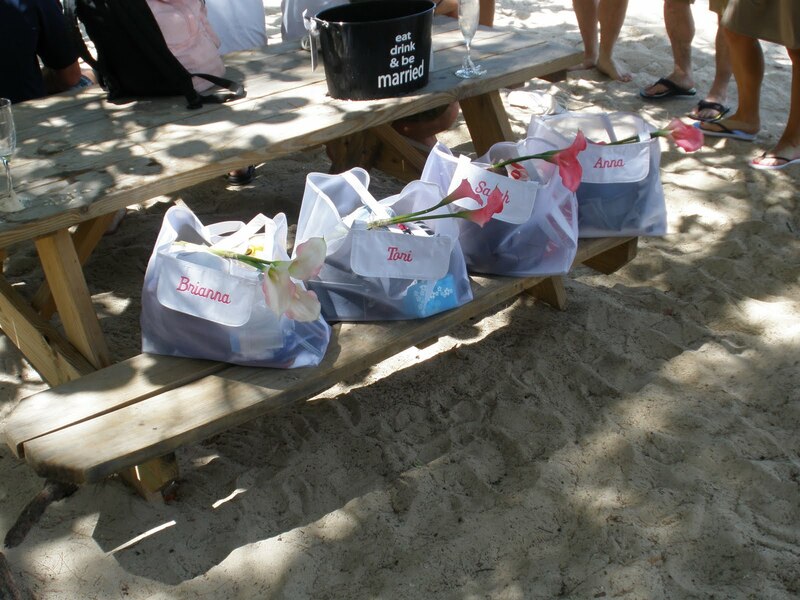 Day of co-ordination is built in to all our wedding packages except the basic "no-frills" package. Two of my current bug-bears are wedding photographers who come off cruise-ships to shoot pictures for weddings who have no permission to work in the Cayman Islands. This is simply illegal. When you use Simply Weddings you know that all our vendors are properly credentialed and we stand by their work. My second bug-bear this week is "wedding coordinators" at local hotels who know absolutely nothing about wedding traditions and customs eg the server at your hotel or restaurant pours and serves champagne immediately after the ceremony. He or she, knows nothing about the Traditional Champagne Ceremony or what it means, or the Champagne Cork Ceremony, or even that the groom and not the server, traditionally opens the first bottle of champagne. 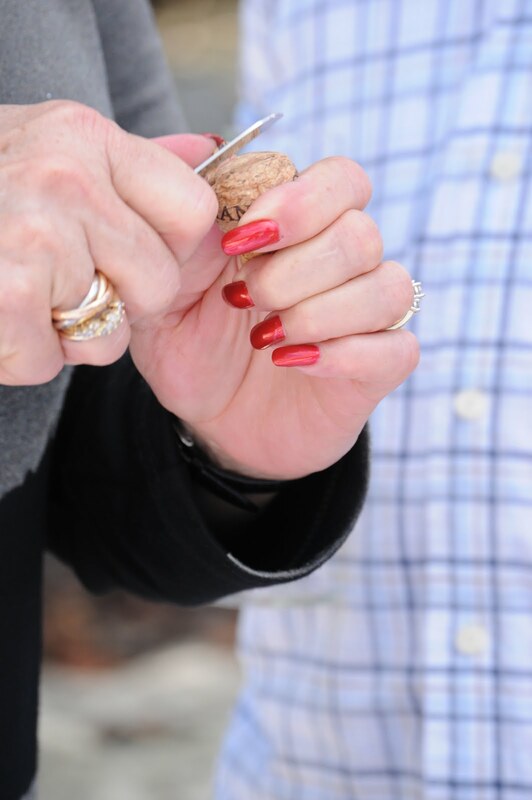 Cutting the wedding champagne cork, to insert a Cayman coin, a tradition we got from the British, said to bring good luck. 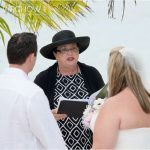 My favourite story about this, is that earlier this year I officiated a wedding at a popular Grand Cayman restaurant. I oversaw the champagne ceremony, but not having planned on doing this, I didn't take my little knife to cut the champagne cork, (and then present it to the newly-weds). I asked the server if he would split the cork for me, and he did, in TWO pieces!